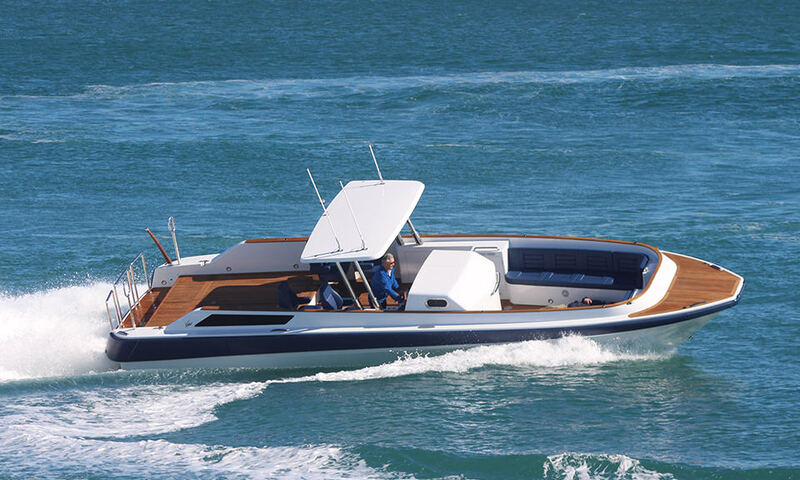 Martin Francis has designed yachts since 1988 and is the creative design force behind Superyachts Senses, Enigma/Katana/Eco and technical expert for Yacht A. 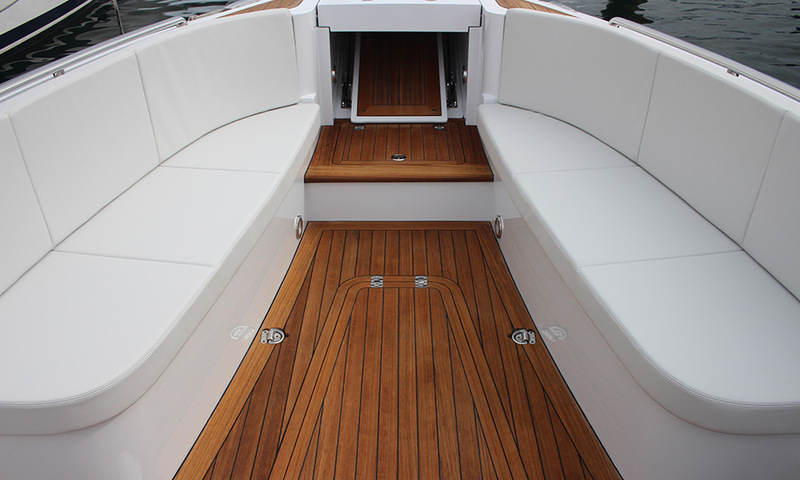 We worked together closely to produce a pair of elegant, high performance tenders for the Superyacht Golden Odyssey. 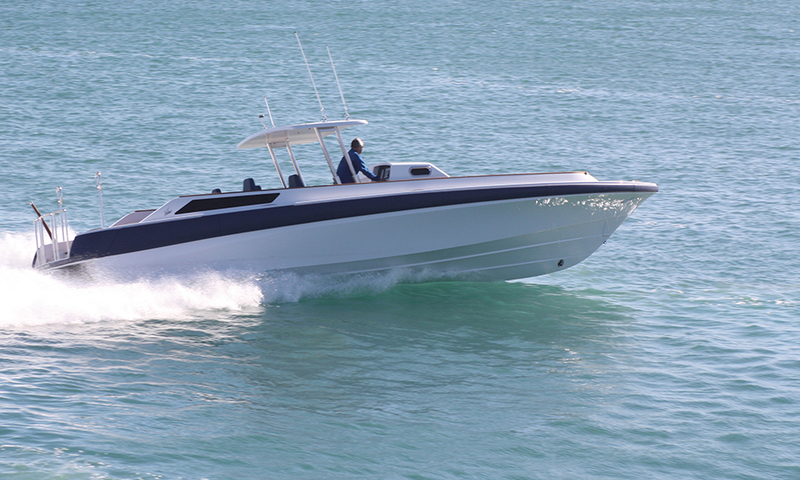 The sharp lines and bold fenders of this vessel truly make it stand out from the crowd. 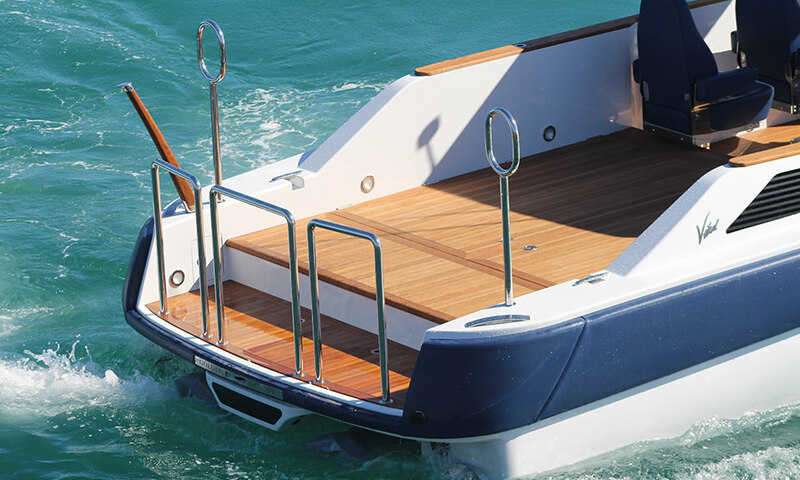 At 11.3 meters long with plenty of deck space the vessel not only looks great but also performs a range of tender duties very well. 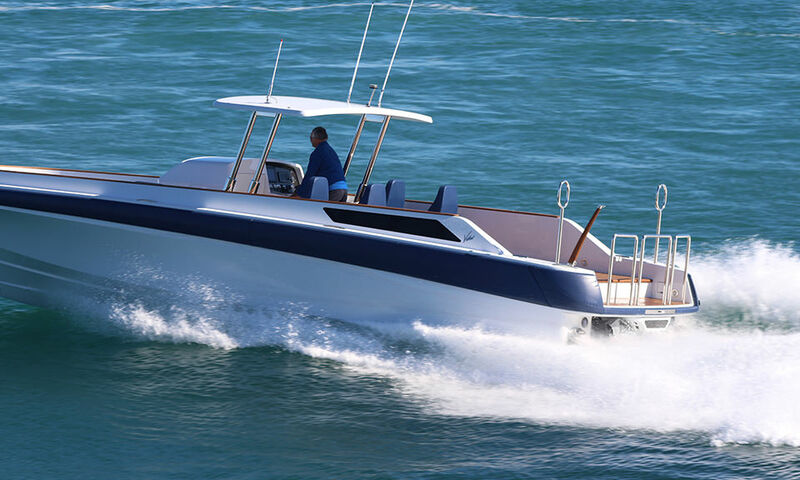 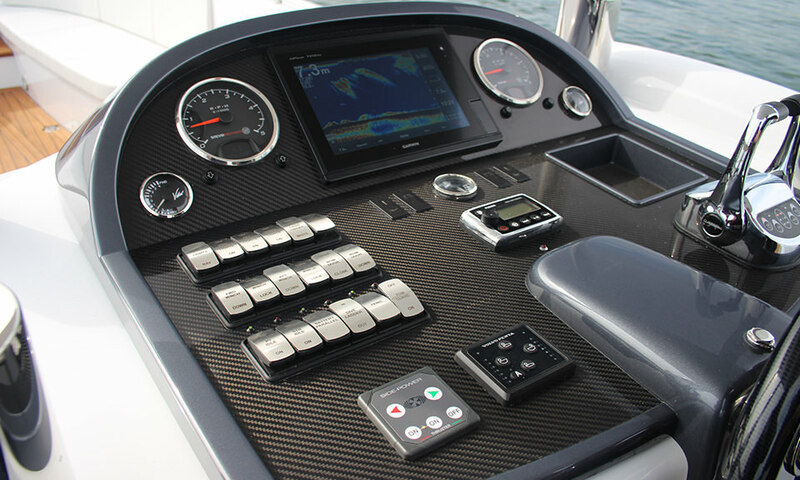 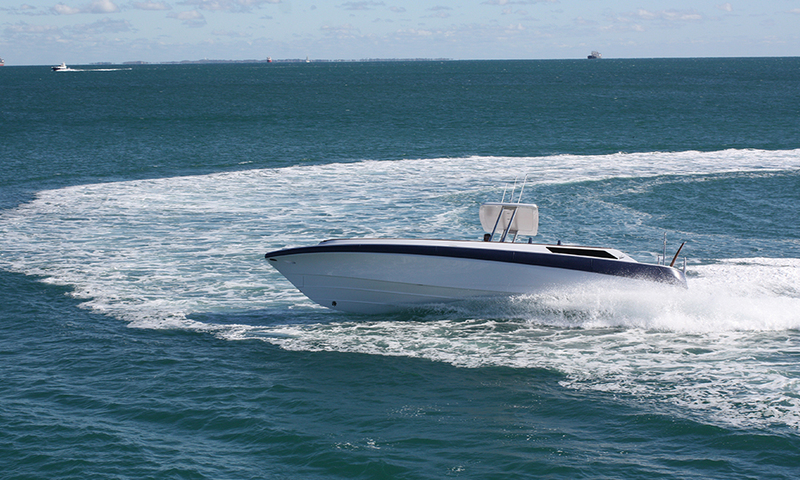 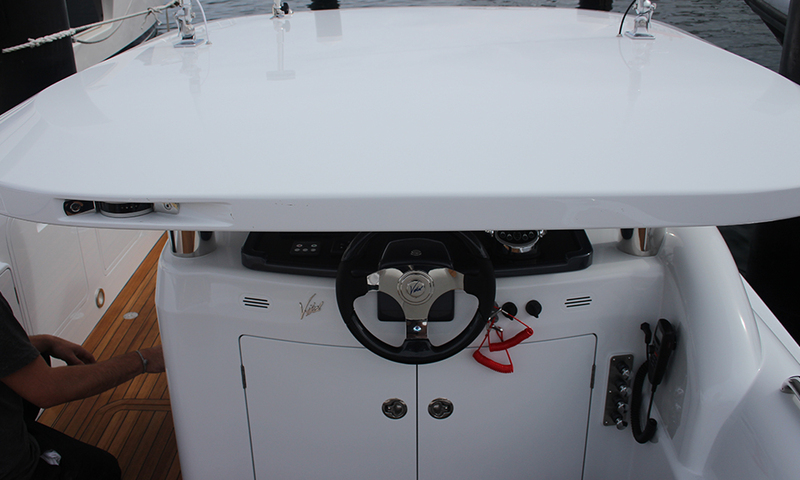 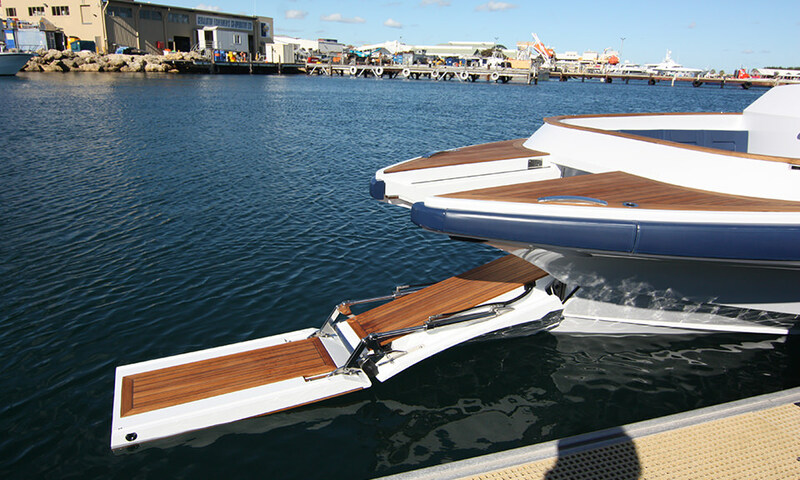 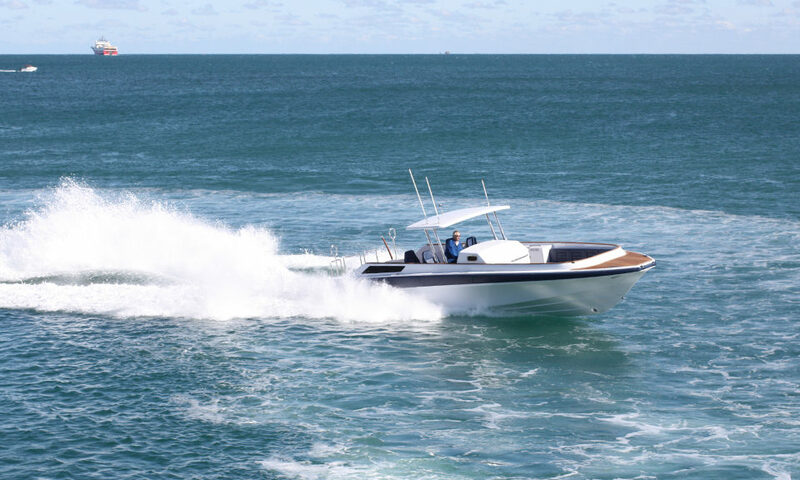 With 2 x Volvo 435HP Turbo charged diesel engines, this large tender can comfortably reach well past 30knots. 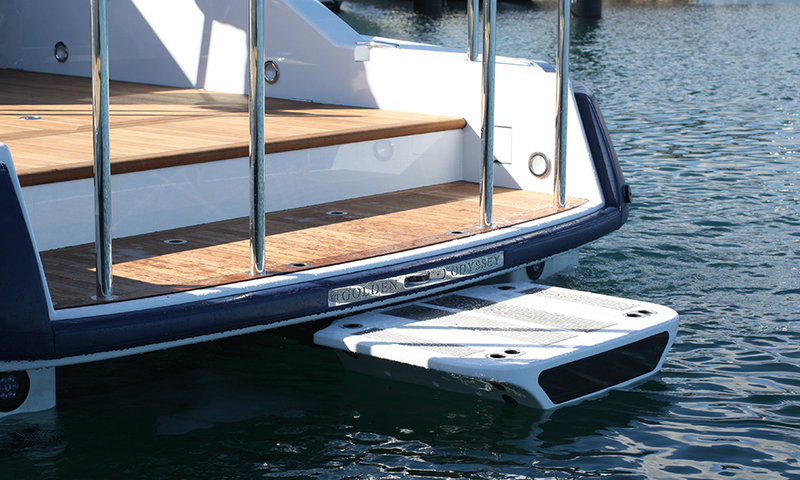 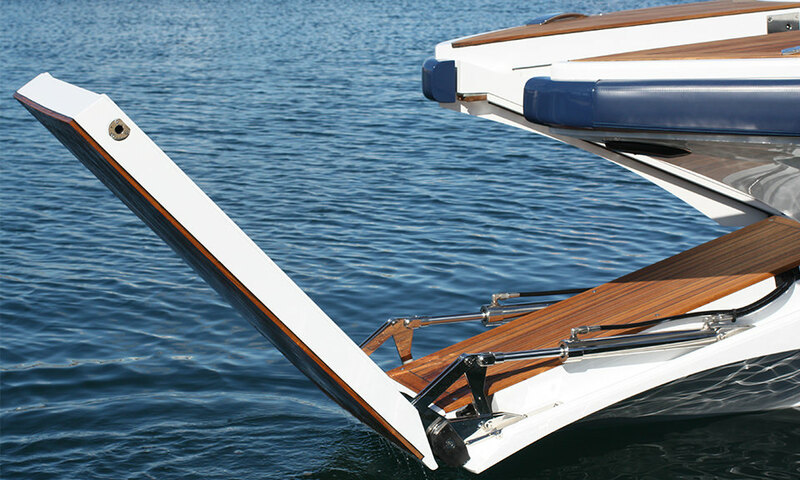 At the owners request, a fully automated electrical dive ladder appears from below the transom to comfortably descend divers into the sea below, making entry and exit to the ocean extremely comfortable. 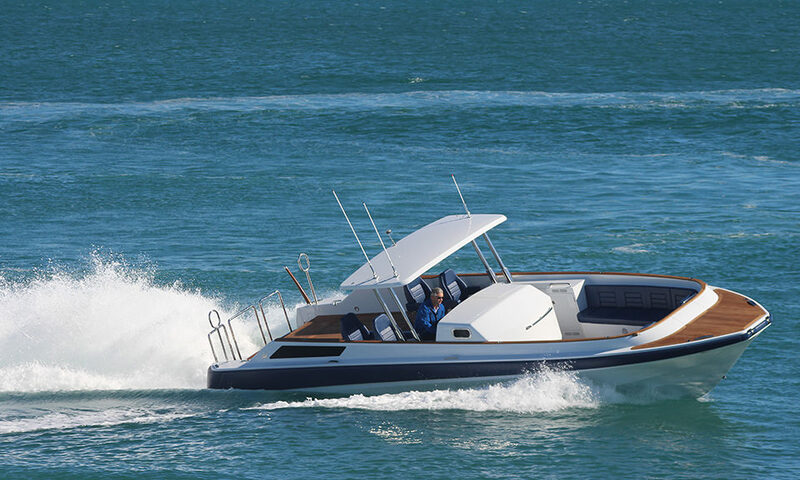 Packed with features from advanced lighting and sound systems to the hydraulic bow door and retractable Bimini, this is truly a formidable open vessel.